Well. This should be fun. Position: Stealth assasin and master strategist. Realm: The Keepers. The governing body created to watch over and maintain the peace between the realms of New Genesia. Profile: Commander of the Special Forces of the Keepers. Height: 6 Ft 2” Eyes: Blue Hair: Dark Black. Personality: Narcesistic, Sadistic, Comedic. Quick tempered. 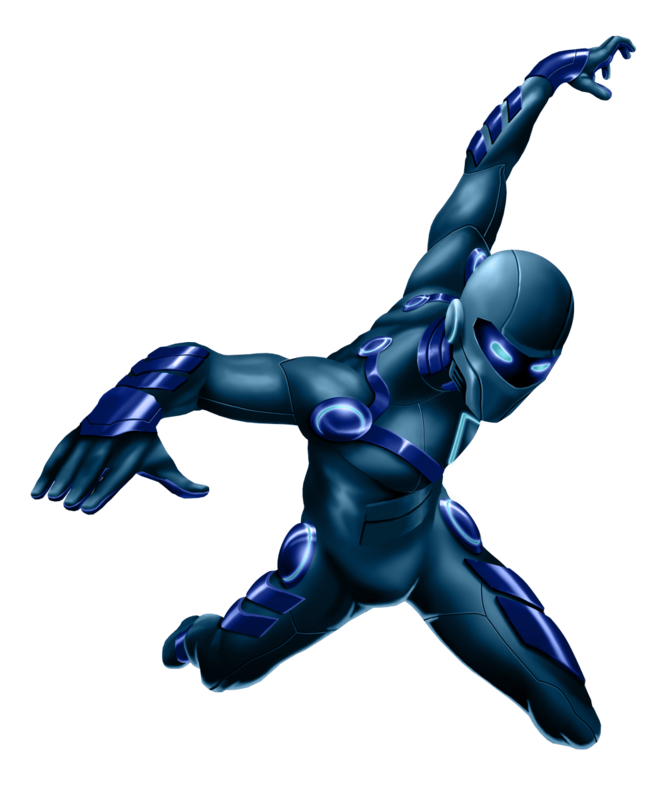 Abilities: Indigo has the ability to shapeshift by harnessing the power of dark energy. He is also a master of stealth and versed in several martial arts disciplines. Joseph Milian was born in Tandra. He was always fascinated by the outside world and rebelled against Ahoteh's father's isolationist policies. He would secretly leave the realm of Tandra and frequent the nightclubs of Yoro. He began abusing drugs and alcohol. He was eventually banished from the realm of Tandra when a young child fell severely ill after ingesting powerful drugs that were found in his tent. He went to Yoro and began working for one of the warlords as a mercenary. He quickly honed his art for killing and became wanted by the authorities for several high profile assassinations. He eventually fell out of favour with the warlord who feared that he would turn on him. The warlord was right. One night Milian infiltrated his private quarters and slit his throat from ear to ear. When the High Councilor wanted to create a secret elite group of assassins Milian's name was first on his list. He made him an offer he could not refuse and Milian signed up. He received an experimental bio-enhancement that allowed him to manipulate dark energy and become an even more efficient assassin. He adopted the code name Indigo simply because it's his favourite colour.